Oil could hit $150 a barrel soon if investment in the Middle East and North Africa fails to rise with demand, the International Energy Agency (IEA) says. Prices have remained high throughout 2011, partly due to Libyan unrest. "We are in the danger zone for the global economy at current levels," said IEA economist Fatih Birol. The IEA also wants more investment in green technology, warning that the world is heading down an "insecure, inefficient and high-carbon" path. "Growth, prosperity and rising population will inevitably push up energy needs over the coming decades," said IEA executive director Maria van der Hoeven. "But we cannot continue to rely on insecure and environmentally unsustainable uses of energy." In its annual World Energy Outlook, the agency says that as years pass without clear economic drivers towards clean energy investment, the "lock-in" of high-carbon infrastructure makes it progressively harder to meet energy security and climate goals. The agency warned that oil prices could keep rising through $150 a barrel in just a few years' time towards $212 a barrel by 2035, as the world supply becomes dependent on a small group of suppliers in North Africa and the Middle East. One-month futures for Brent crude have averaged more than $100 a barrel for 2011 so far. But despite the end of the conflict in Libya, the IEA says there is a possibility that production growth from the Middle East and North Africa (MENA) will not be sufficient to meet demand over the next few years. "If, between 2011 and 2015, investment in the MENA region runs one-third lower than the $100bn per year required, consumers could face a near-term rise in the oil price to $150 per barrel," said the IEA. In the longer term, the industry faces declining output from existing fields and rising demand from developing countries. "We have to find and develop two new Middle Easts, that's a tall order," said Mr Birol. 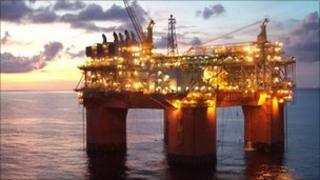 On Tuesday, President Barack Obama agreed to allow further oil and gas drilling in the Gulf of Mexico and Alaska. Gas prices are forecast to remain more stable in the short term, because of rising supply from so-called unconventional sources, such as shale. Earlier this week, Mr Birol called for subsidies on fossil fuel use to be cut, telling the EurActive agency that the "$409bn equivalent of fossil fuels subsidies encourage... wasteful use of energy." The G20, at its recent meeting in France, pledged to work towards an end to fossil fuel subsidies without specifying a timescale.